If you haven’t made plans yet for Valentine’s Day on Thursday, there’s still time. With its vast bay, ocean views and innovative cuisine, San Diego offers endless opportunities for a romantic evening. But don’t wait much longer — you could end up like the original St. Valentine, who died a martyr in Roman times. 1. 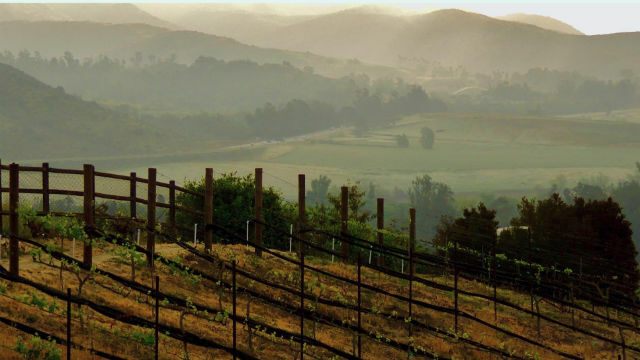 Wine and Chocolate — What could be more romantic than wine, chocolate and live music at a winery in the rolling hills near Escondido? Hungry Hawk Vineyards & Winery is offering this Valentine’s Day special from 4 p.m. to 8 p.m.
2. Oysters and Champagne — The JSix restaurant in the Gaslamp is offering a romantic, three-course dinner of oysters, the choice of pappardelle, salmon or wine-braised beef shortribs, and chocolate pot de crème along with a glass of champagne. The price is $55 per person. 3. Flight of Fancy — The high point of this Valentine’s Day could literally be high over San Diego on a romantic helicopter tour. Corporate Helicopters is offering 18-minute tours throughout the day for $199 per couple. 4. Pasta with Love — Monzu in the East Village is offering a three-course Valentine’s Day menu that includes a smoked salmon and dried cranberries salad, choice of shrimp ravioli in pink sauce or spicy nduja pici, and a dark chili chocolate raspberry cake. The special dinner is $45 per person. 5. Bar Scene — According to the rideshare company Lyft, the most popular Valentine’s Day destinations in 2018 were Flicks in Hillcrest and the PB Shore Club. Maybe not places for a quiet, romantic dinner, but probably lots of fun. 6. 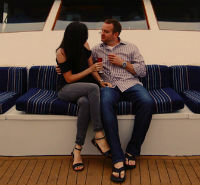 Dinner Cruise — Celebrate the day with a champagne dinner cruise on glorious San Diego Bay. The Flagship Cruises vessel boards at 7 p.m. and returns at 10 p.m. Special packages include private window tables. Fares start at $89.50. 7. California’s Top Hotel — Rancho Valencia Resort & Spa was just named California’s top hotel, so celebrating Valentine’s Day there should be especially memorable. Veladora at the resort is offering a four-course menu, which includes Maine lobster risotto, beet cured hamachi, roasted cauliflower steak and hawaiian mero sea bass and a choice of deserts. Cost is $120 per person.